Content marketing is one of the most hot-button topics in the business world today. 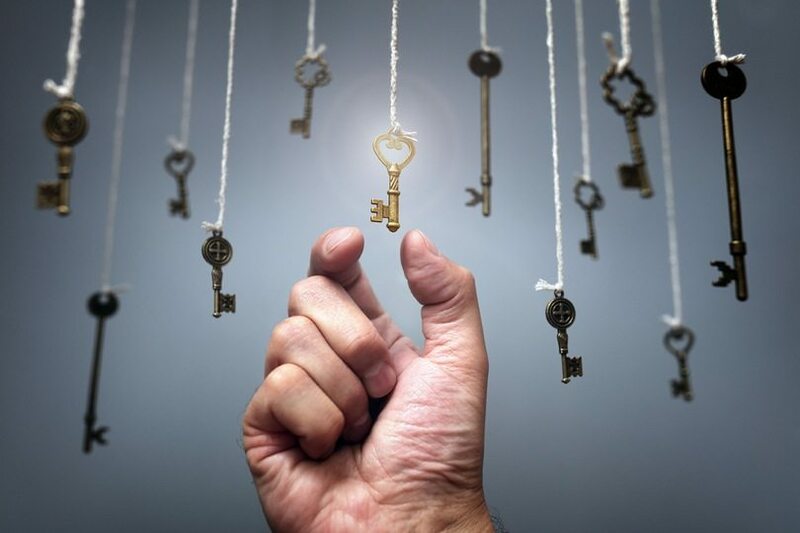 While the concept of content marketing is nothing new, consumer accessibility to brand messaging has accelerated with the evolution of the internet, and the importance of publishing top-notch content has skyrocketed. 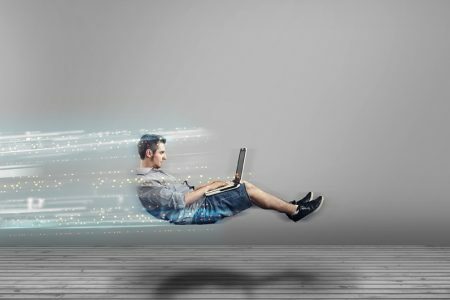 In fact, a study by Curata found that a colossal 75% of marketers are increasing their content investments in the coming years. While it seems like every single brand is going out of their way to create exceptional content, the truth is only a small percentage of them have a formula that stands out. Here are five ways you can make your content stand out in such a crowded online marketplace, and make yourself a force to be reckoned with in the process. The truth is, there are hundreds – if not thousands – of businesses working towards the same annual goals you are. Throughout all stages of the content marketing game, your focus should be on showcasing your superior level of expertise and why you are better than the next brand. Needless to say, before you can start building your brand in the eyes of your audience, you have to have a strong idea of how exactly you want it to be viewed. There should be a strong and vibrant brand story present which you can weave your content and tailor your responses around. What inspired you to make your product and start a business? What are your brand’s values? What problems do you solve for consumers? If your brand was a person, what would they be like to hang out with? What is the single most important thing to you and your business? Determining your unique brand story is not just about creating a valuable marketing asset. It’s also about identifying the guiding principles that will impact every aspect of your organization as well as the content it produces. Here’s a great example of a powerful brand story from Adidas. In this video, Adidas’ humble beginnings are explained, along with how they work to provide value to their customers. It’s highly compelling stuff. At the end of the day, your brand story is the foundation for every fresh piece of content you produce. Make sure that it is properly reflected throughout your entire marketing strategy. One of the fundamental rules of high-performing content is to position your messaging in front the most receptive eyes. In other words, it’s all about being in the right place at the right time. There are an incredible number of channels available for content distribution these days, ranging from microblogging sites like Tumblr to social media platforms like LinkedIn. Each has its own network of visitors and methods for consumption. If you want your strategy to reach its full potential, you must create content specifically geared towards the outlets where your audience engagement is at its peak. During the initial stages, this will require a good amount of research and testing. You’ve got to take into account the nature of your business and learn where exactly your target customers are spending their time. Start by looking at your competitors. Where is the bulk of their engaging content being published? 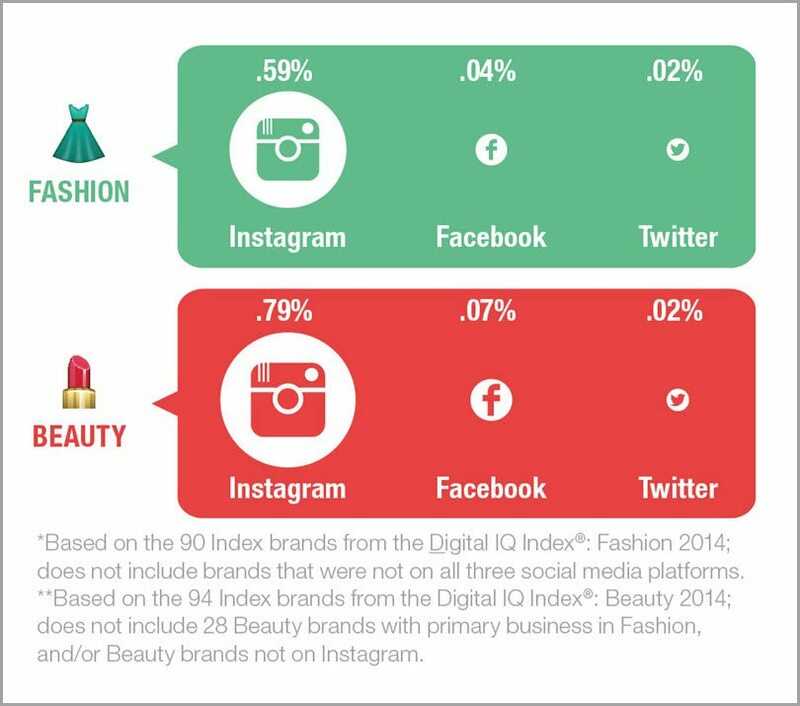 For example, if you are running a fashion/beauty line, you’ll notice many of the successful brands are placing their premier content on more visual-oriented outlets, like Instagram. 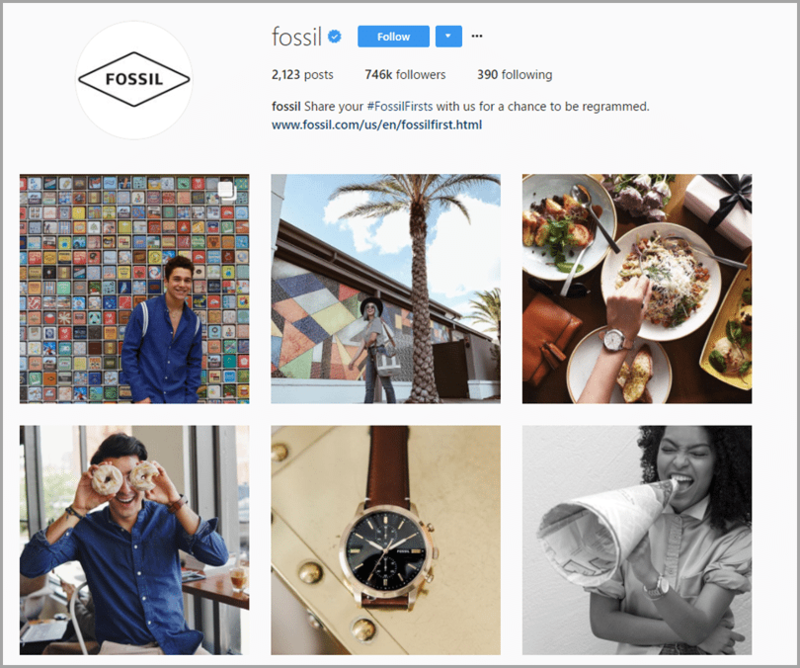 Fossil has been doing an outstanding job curating their content on this platform and have even enlisted many high-profile influencers to help promote their products. It’s wise to experiment with a multitude of channels to find the ones that work best. 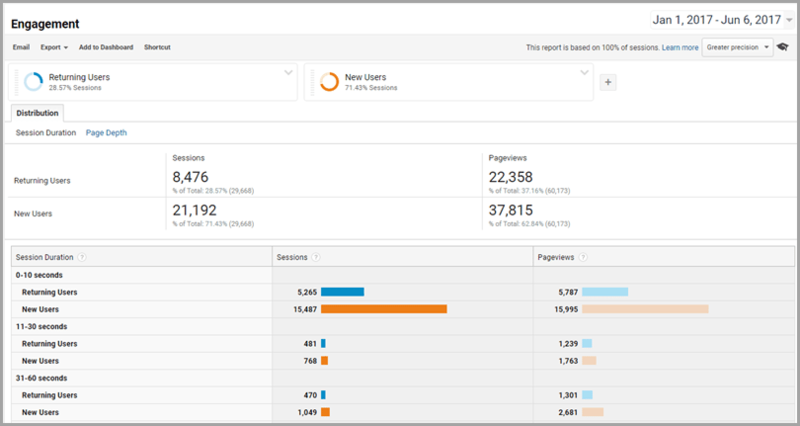 Keep a close eye on your analytics, specifically the sources that send you the traffic that engaged and converted better. 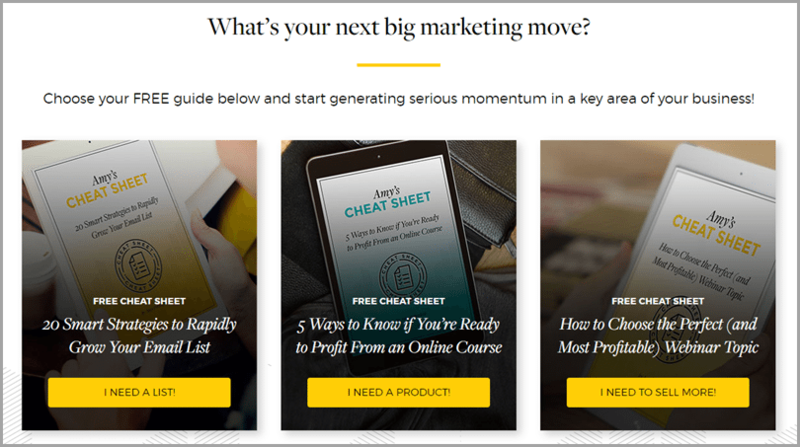 This is where you can see exactly how well each of your chosen content outlets is driving traffic to your website, identify the tactics that will most likely improve your ROI, and focus on producing content specifically aimed at those goals. If social media networks are playing a prominent role in your content distribution (which they most definitely should be! 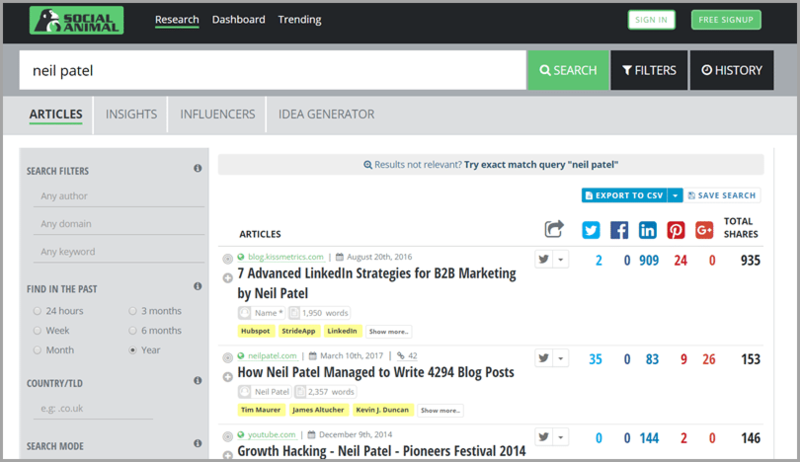 ), tools like Keyhole are great for tracking engagement across each of the platforms you use. It has the ability to keep tabs on your accounts and posts in real-time, and is the perfect solution for tracking your most valuable social networks. Regardless of what your business is aiming to achieve, there are niche channels out there for just about every form of content under the sun. Find the right ones for you. If your content isn’t being exposed to the right people, it isn’t doing anyone any favors. One of the most common tenets of content marketing is that the purpose isn’t so much to push promotions and deals, as to create actual value for the audience. The key to growing a dedicated community is to showcase your expertise and prove why you deserve to be thought of as an authority in your industry. Once you do this successfully, people will be more comfortable spending their money on your product or service. Amy Porterfield, a renowned social media strategist and the author of Facebook Marketing All-in-One For Dummies, has built her career on helping entrepreneurs increase their exposure. The essence of her content is not to boast about how great her services are, it’s to provide critical advice to businesses via blog posts, online courses, podcasts and more. Fortunately, creating educational content now is much easier than it was in past decades. 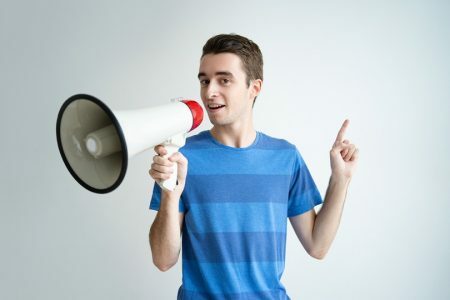 Webinars, for example, which are typically designed for prospects in the consideration stage of the buyer’s journey, are an incredibly powerful vehicle for connecting with your audience and providing the reassurance that turns leads into customers. 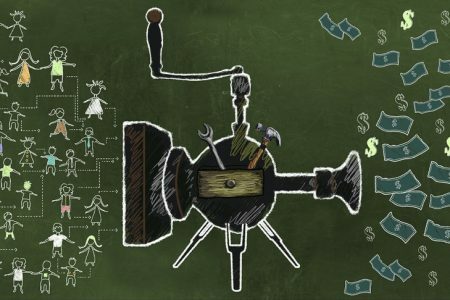 Unfortunately, most marketers think producing this type of content is both tedious and expensive. 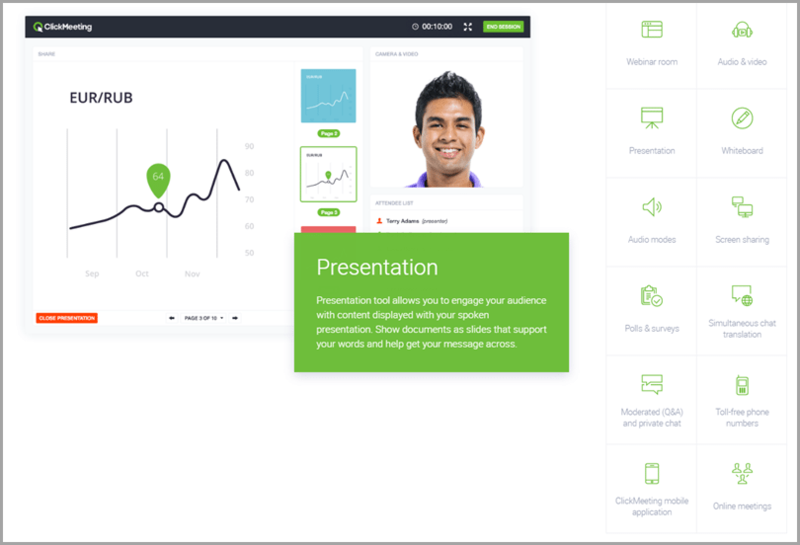 ClickMeeting is a webinar and video conferencing tool designed with this stigma in mind and makes the entire process of designing invites, building presentations, hosting a seminar, collaborating on projects, and analyzing engagement enjoyably simple. 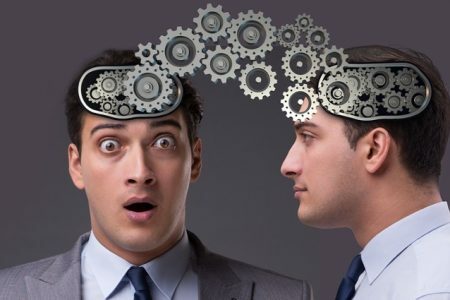 Educating prospective clientele is by no means an easy task, especially for B2B marketers. This is where ClickMeeting proves all the more useful with private meetings, simultaneous translations, screen sharing and polls. Equip yourself with the best tools and resources to help you share content in all formats across all significant platforms. Although the selling aspect will always be a crucial part of the marketing mix, the whole thing becomes a lot easier when the prospect trusts you and believes that you are just as focused on improving their life as you are on making money. Regardless of the business you’re in and the USP of your product, the bare bones of your messaging will be more or less the same as that of your competitors when it comes down to it. You are all in the same field, after all, and offering similar solutions to common consumer issues. Your ability to separate yourself from the rest of the pack therefore depends heavily on the unique brand voice you develop. 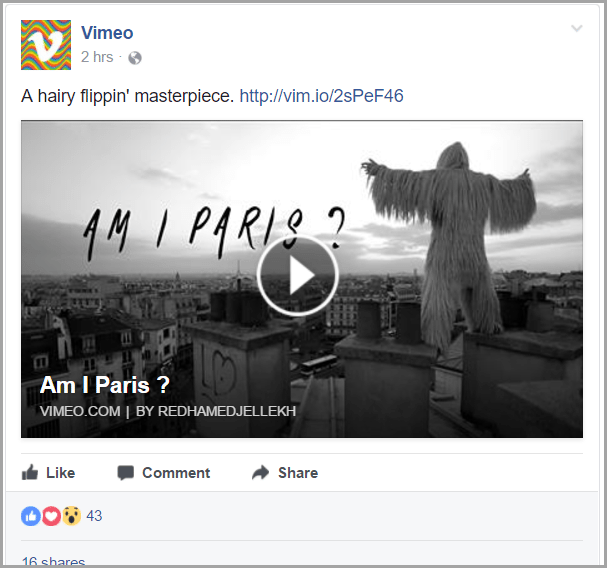 Vimeo is far from the only video hosting platform, but stands out because it does a fantastic job at using brand voice to paint the company as funny, smart and quirky. Developing your voice is not something that happens overnight. You will need to look at the heart of your audience and brainstorm creative ways to reach them. For inspiration, look at Zomato. This online restaurant review hub started out as India’s answer to Yelp, and now has a presence in 23 countries. One of the major drivers in their rapid success is the clever content they were producing right from the get-go, before content marketing even became cool. The first impression that Zomato’s content gives people is its sharp wit. Their content does not always revolve around food, but strays wilfully into territory around friends, lifestyle and pop culture. 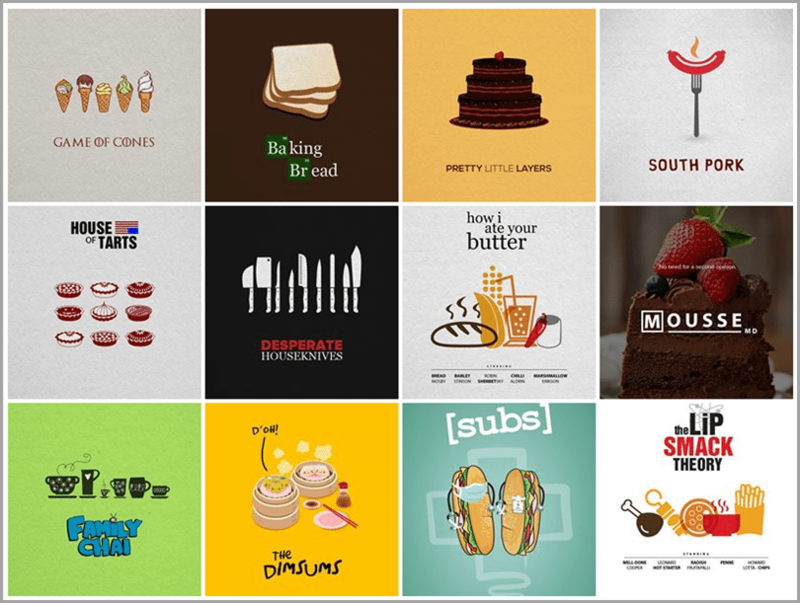 A couple of years back, their series The Primetime Yummies (visual puns on Emmy-nominated TV shows timed to coincide with the Emmy Awards) got over 33,000 likes on Facebook. A good tactic is to critically examine your business as if it were a living, breathing person. What kinds of things does he or she identify with? How does he or she relate to other people? What is the most important thing to him or her? Again, competitive analysis is valuable here too. 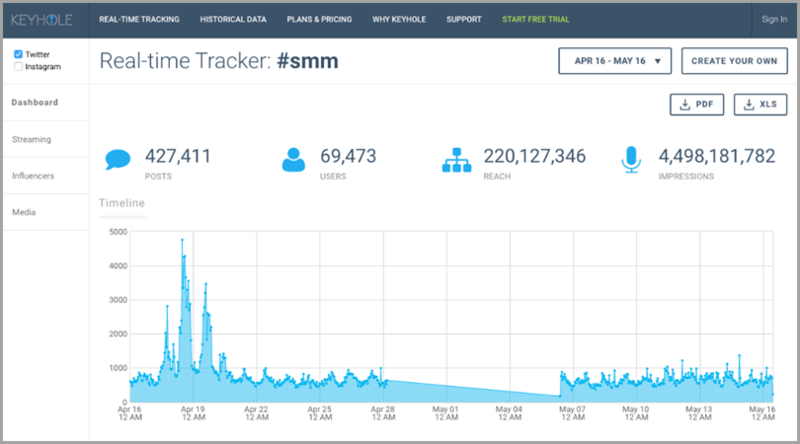 Using monitoring tools like Social Animal, you can look at the content your competitors are putting out there, and the kind of response they are receiving. Keep an eye on their tone, how they speak to their audience, and how people engage with them. Then use those insights to improve your own approach. Humor will always have takers. Find your funny bone and tickle your users’ along the way. Not all content needs to revolve around your industry or product. Pick topics that your users connect with and weave them into your brand subtly – they’ll love it. It’s okay to spark a debate and get on the edgy side of things once in a while. It gets you noticed and talked about; after all, no publicity is bad publicity. Once you have added the right amount of character and pizazz to your messaging, you must ensure it remains consistent. Create a voice outline for you and your team. Identify the key characteristics that must be present in every piece you produce. A failure to maintain consistency can make it difficult for people to trust your brand and relate to it in the long term. When it comes to content marketing, ‘playing it safe’ is unlikely to catapult you to widespread popularity. To really get noticed by the masses, you need to step out of your comfort zone every once in a while and take a few risks. If you’re not sure how to do that right, you need to get familiar with the 70/20/10 rule. 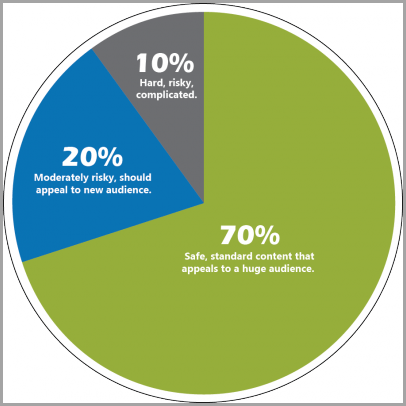 70% should be the safe, run-of-the mill content that doesn’t raise too many eyebrows in your audience. 20% should work to break out of your normal shell and speak to new demographics. 10% is where you can push the envelope and experiment. This is where you make bold claims and predictions, get contentious, and disrupt the status quo to show the world you are there and ready to make waves. While some business experts might argue it’s best to steer clear of controversial issues, others would say it’s an interesting way to exhibit your brand’s values and increase exposure. Take Oreo – they’re nothing short of a powerhouse of social media marketing on Facebook and Twitter alike. On June 25 2012, they decided to take sides on a prominent political and cultural issue, and post in honor of the Pride celebration in New York City. As this was (and still is) a deeply controversial topic, their simple post sent Oreo’s 27 million followers into a frenzy. 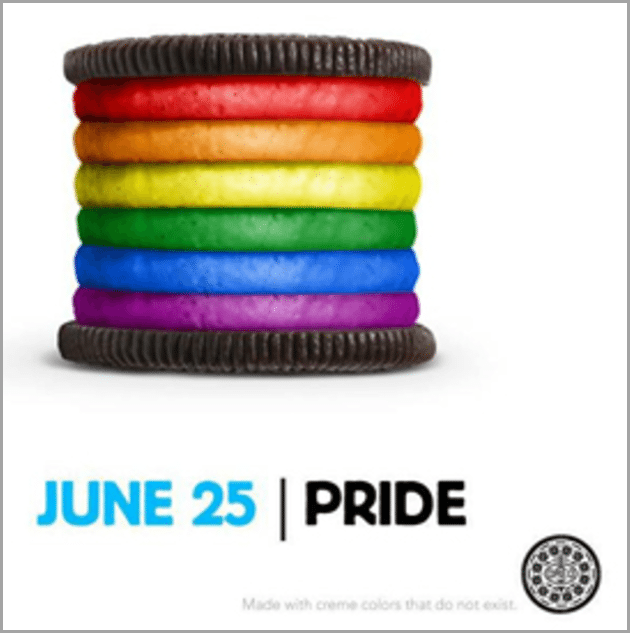 Not only did this post give people a deeper understanding of Oreo’s stance on marriage equality, it also got the company an unbelievable amount of publicity. While many vowed to never buy their cookies again, the message gained an incredible amount of support, with nearly 300,000 likes on the post. Zomato isn’t afraid of raking up controversy either. They once tried to pit New Delhi versus Bangalore as a replacement for India’s tech capital. The ill-fated hiring campaign then spiralled into an online debate that had the country’s social media intellectuals at each other’s throats. Be conscious that whichever direction you decide to take, you need to be smart and tactical about it. The goal is to create content that attracts people’s attention with the potential of going viral. Understand you will likely receive a fair amount of backlash and have an action plan to deal with this. Never take risks purely for the sake of offending people. Always make sure your message can be interpreted from a positive angle. In other words, tread lightly, but don’t be a featherweight. Today’s consumers – especially millennials – want brands that get involved with and relate to them on a personal level. Content marketing these days is very much a two-way street. 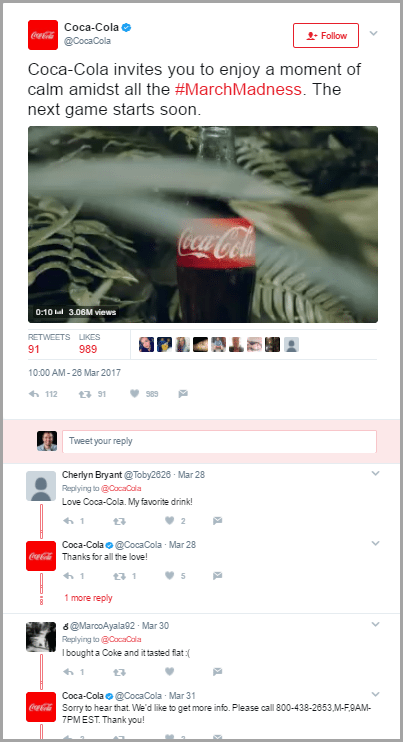 Using social media, brands are now able to interact with their audiences in real-time, with no purpose other than just chilling out. According to a survey by Hootsuite, 59% of Americans with social media accounts believe communicating with businesses through social networking helps make it easier to get questions answered and issues resolved. One of the cornerstones of any content agenda should be bringing a humanized element to the brand’s table. 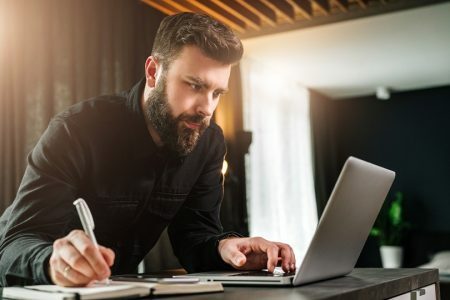 In addition to addressing concerns in a timely fashion, writing personalized responses is a phenomenal way to show the world there are actual people behind your operation. Additionally, it opens up more opportunities to reveal your brand’s authentic identify and showcase the values you stand for. You need to be careful not to fall into the trap of ‘likes’ and ‘shares’ when it comes to measuring true engagement, though. As Jonah Berger observes in his book Contagious, likes and shares aren’t votes of confidence about the abilities of a brand. People may share items that they feel are clever or cool but most of them do not even read through the post before hitting the like or share button (the headline itself is enough)! While the numbers may still constitute social proof, the mere fact that people appreciate a clever piece of marketing is not going to get the needle moving for brands. Vanity metrics have unfortunately contributed to the deluge of poor content on the net in a negative way. They hit the prestige switch in marketers, who keep pandering to their (and their clients’) egos, without actually achieving much. Identifying and segmenting frequent engagers is critical. The higher the percentage of repeat consumers of your content, the stronger their sense of association with your brand. 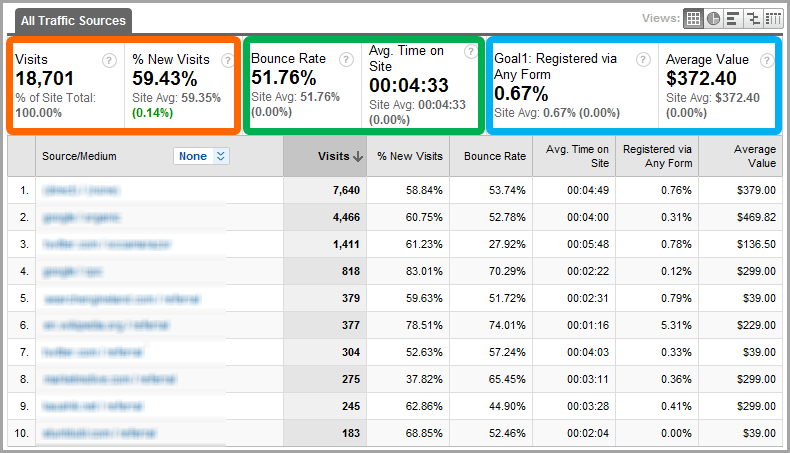 Google Analytics can give you specifics on the behavior of new vs. returning visitors to your site. By correlating time-specific reports with your content calendar, you can also start to understand what really matters to your audience, clean out what doesn’t work, and build more compelling calls to action with the rest. 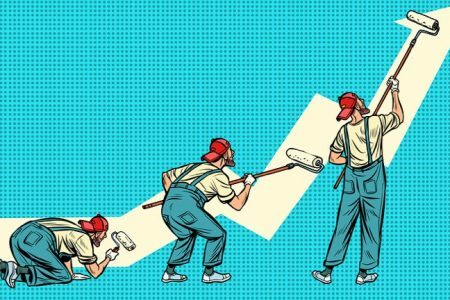 If the percentage of returning readers spikes every time you publish a new piece, it means your content is gradually growing a solid base of prospects who are primed for the sales pitch. In all honesty, your customers are the reason why your content – and entire business – exists in the first place. Engaging them is one of the smartest ways you can advance your efforts and build loyalty and lifetime value. To put it simply, content marketing is one of the most effective ways out there to help a business make an impact. As of right now, it appears to be in the midst of a momentous reimagining, with the widespread use of artificial intelligence and virtual reality on the horizon. However, even though technology may change, the core principles of successful content will remain the same. So think about the above points and think of your strategy as something in a constant state of evolution and growth. Always look at both your defeats and victories for ways to take your brand to the next level of visibility. Guest Author: Rohan Ayyar is a creative content strategist and CRO specialist at E2M, digital marketing firm par excellence. He doubles up as the resident UX authority at Moveo Apps, a premium app dev agency. Rohan is also an avid business and tech writer, with articles featured on The Next Web, Fast Company, and Adweek.